It’s been several weeks since I was last here. I’ve missed it. I just pressed the button on my dissertation! I can no longer tinker with it; it’s done. All I need to do now is bind and drop off the hard copies tomorrow. I am excited to be able to get back to the blog. I hope you haven’t all given up on me! I couldn’t completely leave the camera alone for the whole summer. 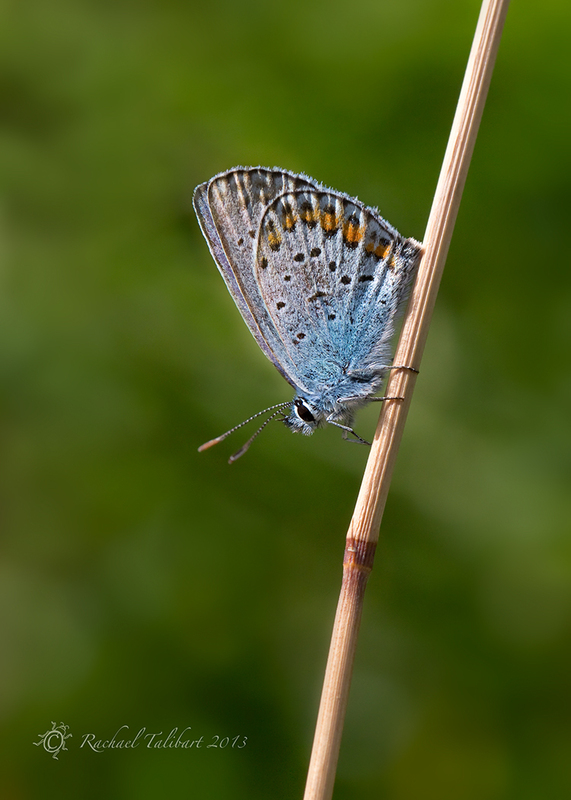 Here’s a shot of a lovely little common blue butterfly, captured while on holiday in Sark in July. See you after college tomorrow! This entry was posted in Channel Islands, nature, photography, travel and tagged butterfly, Channel Islands, common blue, insect, macro, macro photography, nature, nature photography, photography, Sark by Rachael. Bookmark the permalink. Welcome back, Rachael! Lovely photo. The soft blues on the butterfly wings do stand out beautifully against the background. Thanks, Gracie. I was hugely impressed with the variety and sheer volume of butterflies on Sark. Congratulations — a great accomplishment. We all look forward to seeing more gorgeous photos on your blog. What will you be doing with your new credentials? Hi Sue. Thanks! I am not sure I will be doing anything with them in the immediate future. I started the MA intending to go on to do a PhD but I am not so sure now, in the meantime, I have plenty of photographic projects that have been waiting for me to have time for them.